Are you running from project to project with no steady income in between? Two years ago, I was too. Stressed out from constantly selling and supporting, I decided to make ongoing service packages a mandatory part of our website projects, and it transformed my agency. In this session, learn how working with clients on an ongoing basis is better for client satisfaction, client relationships, your quality of work, and your bottom line. This is the first installment in our WordCamp Grand Rapids 2017 revival. 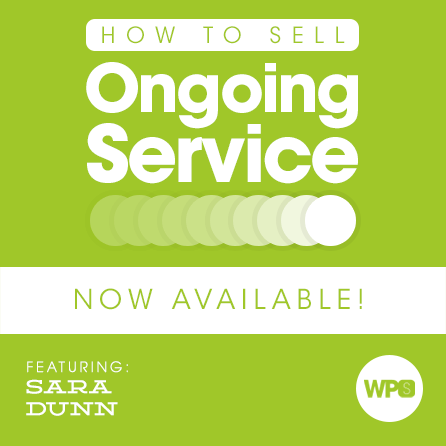 Pay close attention to this one because Sara Dunn is going to show you how her business converted free support requests into paid work. Not only that, she is going to give you advice on how you can pitch and sell your client on the benefits of ongoing, monthly retainers. After watching this session you should have a strong foundation to create predictable and scalable revenue streams for your business. This is a win for you, because predictability leads to better sustainability, and it’s a win for your clients because it turns challenging unknowns into comforted certainties (i.e. turning “Help! Something is broken, can you fix it?” into “Thank you for always taking care of us!”). If you’re tired of saying “yes” and scrambling for more time to help your clients for free, this is a must-watch session for you. Sara is the founder and project lead at 11Web, a digital agency based in Battle Creek, MI. A code junkie since junior high, Sara started her business with just a cell phone, a laptop, and a load of enthusiasm in 2012. Since then, 11Web has served over 100 clients, all thanks to referrals and word-of-mouth.